Since moving to central Pennsylvania in the mid 1990’s, Alice Bish has distinguished herself as an orchestral musician performing with groups as diverse as Gettysburg Chamber Orchestra, Trans Siberian Orchestra, Pennsylvania Regional Ballet Orchestra and Sylvan Choral. 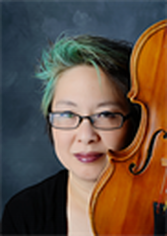 She has also held the post of co-principal violist with York Symphony Orchestra, and held tenured positions with Reading Symphony Orchestra and Maryland Symphony Orchestra. Prior to moving to the area she was a violist in the Spoleto Opera Orchestra, Sarasota Opera Orchestra, Hollywood Bowl Orchestra and Symphony Trieste. Her non-classical musical experiences include performing in the back up orchestra for Natalie Cole, Clay Aiken, Rod Stewart, Celtic Thunder, Jackie Evancho and Vince Gill. 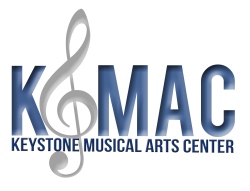 Currently Alice is a regular member of Harrisburg Symphony and Shippensburg Festival Orchestras. A graduate of New England Conservatory of Music in Boston, MA, she has studied with Roberto Diaz, Burton Fine, Micheal Tree, Abraham Skernick and Robert Vernon. While her main instrument for performance is viola, Alice has also taught violin for over 25 years. Her students consistently place high in youth symphony, district orchestra, regional and state orchestra auditions. Alice believes that the best musicians are the ones who can balance the confidence to perform for an audience with the humility to constantly work to improve oneself. She strives to establish a solid background in technique for all her students so they can pursue any and all genres as a musician of high standards. Regardless of whether her students pursue music beyond their high school years she hopes they take away from her lessons a sense of discipline, self examination and a life-long love of learning.